Petaluma’s ban on cannabis dispensaries and large-scale marijuana cultivation within city limits has opened the door for a flood of applications for those businesses on the city’s fringes. Sonoma County officials have received 22 applications for commercial cannabis cultivation permits on county land within the Petaluma zip code, according to data from Sonoma County’s Permit and Resource Management Department. That represents 17 percent of the 125 cannabis permits sought countywide. The department is also scheduling a hearing for a proposed medical marijuana dispensary and delivery service at 50 Ely Rd., which is two football fields from the city limits. 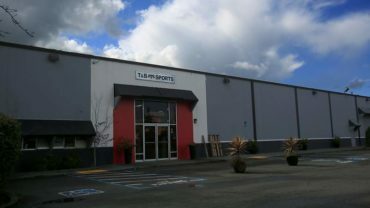 The application for the dispensary, which is the brainchild of Petaluma native Jamie Reagan, is the only active proposal for a retail outlet near Petaluma, Communications Manager Maggie Fleming said. Reagan said she chose the 700-square-foot rented space in part because of its proximity to the city, which is an untapped market. Currently, medical marijuana patients must drive about 10 miles to Cotati to access the nearest dispensary. Cannabis has long been a contentious issue for Petaluma’s City Council, which voted this month to continue its decade-long ban on dispensaries. The new policy allows for cannabis manufacturing businesses, two delivery services for recreational and medical cannabis and gives residents the ability to cultivate up to six plants for personal use. In December 2016, the county’s board of supervisors signed off on a slate of regulations creating a licensing scheme and expanding allowable uses of medical cannabis, including commercial medical marijuana grows of more than 10,000 square feet. The ordinance does not cover recreational marijuana, which was legalized by an overwhelming majority of Petaluma voters through Prop. 64 last November. Under Prop. 64, the Adult Use of Marijuana Act, it’s not yet possible to purchase marijuana without a doctor’s recommendation. The state has not begun to issue licenses for related businesses, which could happen as soon as Jan. 1. Under the law, local jurisdictions still have the ability to shape their own policies and a local permit gives applicants priority when seeking state licenses to operate cannabis businesses. Sonoma County has been issuing land use permits for medical marijuana dispensaries since 2007, but no more than nine such businesses are allowed at one time, Fleming said. There are currently four dispensaries near Santa Rosa and in Guerneville with three other pending applications, including Reagan’s operation. Reagan applied for the annual permit in 2016, and has since been navigating through the lengthy process to gain necessary approvals. The permit would have been granted by Nov. 13, but two neighbors submitted complaints, which triggered a public hearing, Fleming said. For a neighbor whose driveway is said to be 140 feet from the site of the potential Down Under Industries dispensary, the issue highlights the larger dichotomy between the city and county’s policies. The neighbor, who declined to be identified for fear of retribution, was concerned marijuana businesses might begin to ring the city. “This is going to open the door to so many other like businesses trying to take advantage of these pockets once they allow this one so close to houses,” the neighbor said. The resident’s concerns include increased traffic in the neighborhood, wear and tear on the private road, intruders on the property purchased two years ago as a retirement home and other safety issues with the nearby SMART tracks. Though the resident is not generally opposed to cannabis business, the neighbor expressed frustration that zoning allows for a dispensary so close to homes, which are in “no man’s land” because of what the resident described as “imaginary” jurisdictional lines. Reagan, the businesses’ front-woman, said she’s working to address neighborhood concerns. Her business will be subject to stringent limitations, including a 36 person daily cap and operation hours limited to 7 a.m. to 4 p.m. It will also include around the clock security and parking. She plans to hire about 10 employees to staff the dispensary, which will feature a comprehensive line of edibles, flowers and concentrates. 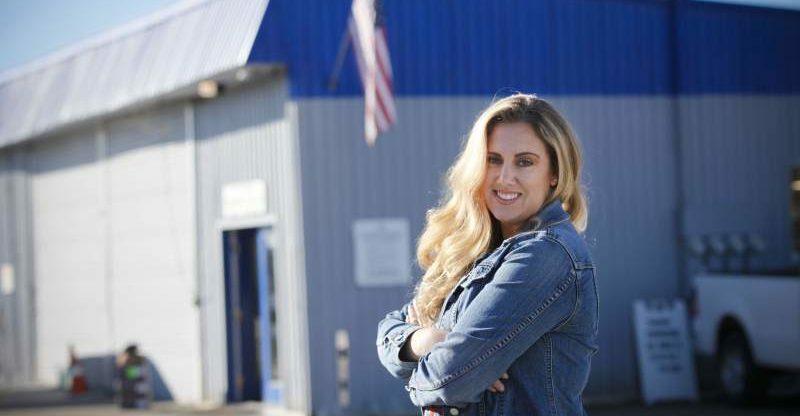 “I haven’t had the opportunity to speak to anyone directly, but I’m sure there are going to be people on both sides, but hopefully I can show them that I can run a safe and smooth business and be a good neighbor,” she said. A 35-year-old who has spent years in the real estate industry, Reagan became interested in the medicinal properties of marijuana and wanted to launch her own business. “I saw a place where we had a void and I feel like this plant has changed a lot of people’s lives and I just want to be a part of that,” she said. The issue of the dispensary so near to city limits has irked Councilwoman Teresa Barrett, who has long advocated to allow retail outlets in the city. While larger-scale cannabis cultivation in the county isn’t a vexing problem, she lamented the city’s loss of control for enforcement and potential tax revenue. Sonoma County Supervisor David Rabbitt, whose district includes Petaluma, said his office reaches out to residents to alert them of pending proposals in their area. He’s organized town halls about other projects and helped give residents voice for opposition that led to one proposal being pulled, he said. Complaints about cannabis operations in the county can be directed to the Permit and Resource Management Department, according to deputy director Jennifer Barrett. Before granting permits, planners evaluate proposals on a case-by-case basis to ensure the application fulfills the county’s requirements and is appropriate for the location. The county also sends notices of nearby projects to the city, and meets with planners from various jurisdictions on a regular basis, Jennifer Barrett said. Meanwhile, Councilwoman Teresa Barrett hopes the city can reevaluate its own cannabis policy in the future. Three of the seven council members were in favor of allowing dispensaries, while the majority preferred to shy away from cannabis entirely or test the waters with what is viewed as a safer delivery business model.